Boy and I spent the Independence Day weekend in Chicago. Our primary purpose for going there was to attend the lavish wedding of his assistant, Clarissa Montgomery, in Lake Forest. But we scheduled enough time before and afterwards to poke around Chicago, too, a city that neither of us had visited for some time. Living in New York it is rather easy to fall prey to the generally accepted view there that everywhere else is "out of town." In other words, that when compared to the Big Apple any other city comes up short. Well, Chicago put that idea to rest. 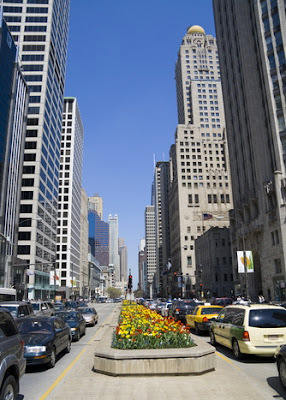 Chicago is a gorgeous, beautifully maintained city full of handsome architecture, broad boulevards, beautiful parks, marvelous restaurants, top-notch shopping, and a stunning lakeside situation. It is, in a word, magnificent! First things first, though: Chicago is really clean. The city is exceptionally well maintained, with none of the grit and dirtiness of New York. The area we spent most of our time in, downtown, is beautifully landscaped and full of parks and street planters gorgeously bedded out with flowers, ornamental grasses and shrubs. Even though the city's sidewalks and parks were mobbed with people when we were there, I didn't see anyone littering or disturbing the plantings, in contrast to what one would expect to see on a busy weekend in New York. We were (mostly) impressed by the restaurants we ate in, including Seasons at the Four Seasons Hotel (where we stayed), Pelago Ristorante, Henri, RL, and Terzo Piano at the Art Institute (where we spent a glorious day reveling in the museum's collections). We did a bit of shopping on Michigan Avenue, a retail thoroughfare populated with all the stores you'd expect to see in a city of international standing. 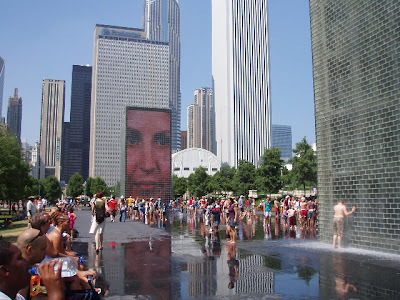 But most of our time was spent walking around, delightedly taking in the sights, the architecture, the views, and the parks—including several well-spent hours visiting Millenium Park, a stunning testament to modern-day civic design. We were highly impressed. The only downside of our visit was how crowded the city was with hordes of people wearing the depressing uniform increasingly seen everywhere you go today in America of tee shirts, cargo shorts, and flip flops. The only major difference between the sexes we saw on our visit was that most of the males wore baseball caps. Everywhere you turned in Chicago that's the uniform you saw on people, with only the most minor of variations, such as substituting cheap nylon basketball shorts for cargo shorts, or team jerseys for tee shirts. 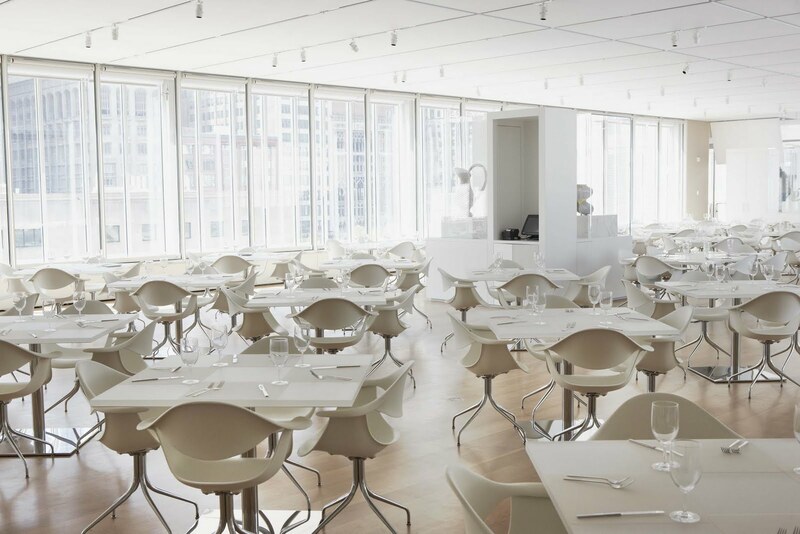 It didn't matter where you were, either, it could be on the street, at the Art Institute, in the lobby of the Four Seasons, or in restaurants—everyone was wearing the same thing. All ages, sizes, socio-economic groups, races, shapes, sexes. Everyone! It was mind-numbing. Needless to say, we felt like complete fishes out of water wearing the summer sport jackets, collared shirts, trousers, and leather-soled shoes that we had on while walking about the city during the day, and we noticed people staring at us and checking us out as if we were somehow strange or exotic looking. At one point early on in our visit Boy bought a summery cotton bow tie and put it on and wore it out of the store. He liked the way it looked so much that he wore it for much of the rest of our visit to Chicago. People on the street there gawped at him as if he were some kind of alien (a very good-looking and smartly attired alien, I might add), and we heard one little girl exclaim, "Look at that man, he's wearing a real bow tie!" It got us wondering—where were the people like us in Chicago? Where were the ones who actually took some care with the way they dressed and presented themselves to the world? Were we complete anomalies? Had it come to that? It took us a while before we realized that just as we had left New York for the Independence Day weekend, so had the people like us who live in Chicago also left town. Either that, or they were holed up in their houses or apartments, visiting friends, or at their clubs—anywhere else that they could go to get away from the hordes of ill-dressed tourists mobbing the streets, stores, parks, and sites of the city. Of course that was it—we were visiting Chicago on the one weekend of the year when its residents did everything in their power to get out of town! Once we realized that we roared with laughter. We then were able to relax and enjoyed the show. We really did have a lovely time visiting Chicago, and even though we were frequently appalled by what we saw people wearing (or in some cases not wearing), it really was all remarkably entertaining. 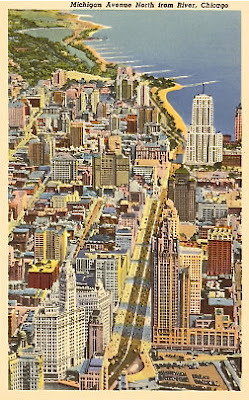 And, for the most part, everyone that we saw out and about in Chicago was having an absolutely lovely time, walking around with broad, happy smiles upon their faces, visibly taking pleasure in visiting one of the most marvelous cities in America, if not the world. And in that respect they were just like us. Lovely post, Reggie! I couldn't agree more about the "uniform" most Americans seem to wear in their leisure time. Happily, we are blessed to be tourists from time to time, and the Mister and I insist that the boys step it up and wear clean, pressed polos and khakis and decent-looking shoes. We're always amazed at the compliments we get on our "nice-looking family" (mostly from wistful-looking older folks) and the markedly better service we get. I am convinced we have had better tables and more upgrades because we don't look as though we're headed out to do yardwork. Once, while visiting Walt Disney World, where 97% of the guests dress just horribly, we were invited out of line and into the (private sponsor) General Motors lounge where we were offered complimentary soft drinks and snacks while we sat overlooking the theme park and the long line we had just left. After freshening up in the spotless restrooms, we were "backdoor-ed" onto the ride we had been waiting for--our children, who were between 8 and 14 at the time, could not believe it. We told them it was because we stood out "in a good way," a lesson they seem to have taken to heart! I concur with your thinking that Chicago is, in the fact, the Second City:). And I cannot help but think you must be right about the attire issue, as in my forays to Chicago people have kept their clothes quite firmly placed on their bodies. Yes, Reggie darling you are an anomaly in the best of all possible ways. Thank goodness you were able to see through to the smiles. I would credit you with nothing less. That's really what it's all about, No? I love Chicago- infinitely more than New York, with Boston being my favorite city of all. I don't see how you abide the city anyway-even living the high life you do, thank goodness you have DH to get away to breathe some good country air. I am getting caught up with Reggie postings after being away for a month. I have always liked visiting Chicago. It is a great walking city--although quite large, many interesting areas tend to be contiguous with each other, and there are good-looking buildings from many (post-fire) eras. The Art Institute is amazing, but don't forget the Wright homes and the Oriental Institute, which has some impressive displays. What a wonderful tribute to the city of my birth and upon whose outskirts I have lived my whole life. I've been to New York, and love it and it has a style like no other. I adore Boston and Los Angeles, Philadelphia, and so on, but, Chicago has its own personality and I love to wander around it. As you were here for Independence Day, you were at the height of tourist season. No excuse for improper attire; a matter that I could not agree with you more on. A sad commentary of the times, I fear. When I see men or women dress nicely, I do look, with appreciation for the finer things most seem to miss. I love to walk the Magnificent Mile and admire all the plantings, which have grown in number and scope over the years, and could not ask for any better than our lakefront and skyscrapers and architecture that helped herald our country into the 20th century. Hmm. I have a feeling I'll be boarding the Metra this week for a turn around the Second City, which is so called not because it is second in stature, but, because of how it rose out of the ashes of the Great Chicago Fire and eventually became the great city of today. 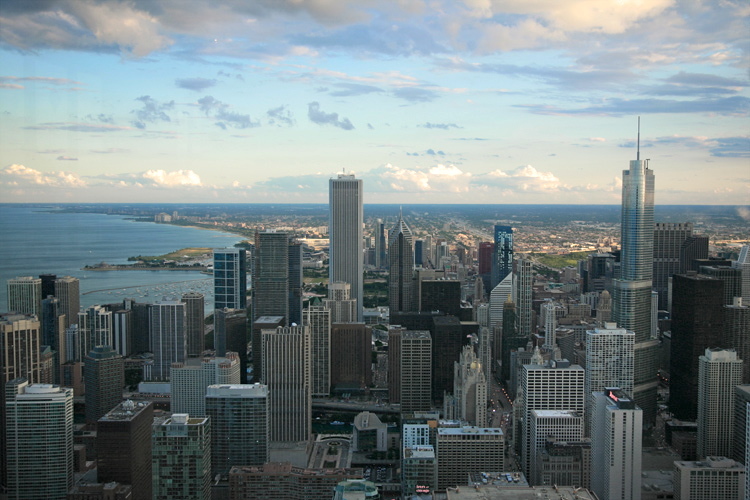 The Windy City moniker, however, got its name for what we are also know for - our politicians! The whole casual dress in public practice has gotten completely out of hand. I would like to think that all the subjects you saw were non-Chicagoans, though. I have never been to Lake Forest and environs. Was it lovely? Bravo! 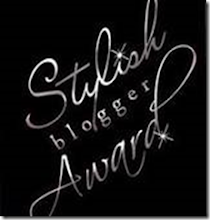 Style may be out of fashion, but is never out of style! Oh, it is so true about people's clothes. It kills me. Al Capp predicted it many years ago in "Dogpatch USA". "Inner and Outer Slobbovia"!! We all live there! So sad!! Subtract another 50 points off the IQ when the baseball hat is on backward! Yes Chicago is superb! The only big downside is the WINTER. Yet more temptatons you offer us here of interesting ports of call which is now beginning to make our first visit across the Atlantic even more pressing. 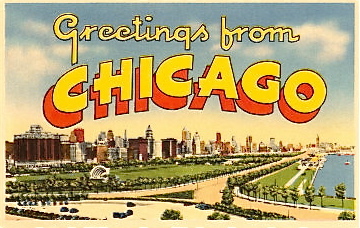 So many wonderful American cities to choose from and Chicago must certainly be included. Friends with whom we recently stayed who now live in the Hungarian countryside were for many years living in Chicago, she as an assistant to the legendary Michael Hoban and he as a photographer to Mayor Daley [after completing service as a combat photographer in Vietnam].Their views of the city and the ones you give here would most certainly be in agreement and now we arekeen to see for ourselves. As for the tourist attire, this is surely now a universal uniform, just the differing logos on the baseball caps giving a hint of individuality. It's too bad that our timing didn't allow us to get together during your visit, but it's probably just as well, since the sight of the three properly-dressed people walking down Michigan Avenue might have been too much for the cargo shorts crowd, anyway. In hot weather, I mostly stick to unlined blazers & seersucker trousers and I get the same incredulous looks you did, but I do remember one morning a few years back, when my apple green Brooks Brothers seersucker jacket elicited both a thumbs-up sign from my El train conductor (who was himself decked out in an old-school pinstriped conductor's uniform) and, a few hours later, an approving pat on the hand from a white-gloved elderly woman on the bus, who told me that I reminded her of her late husband, when he was still young, which I though was pretty funny, considering that I was fifty-six at the time. "Young" is relative, I guess. But if there's anybody that I intentionally I dress for--besides myself, I mean--it's people like that, whom I always think of, when I occasionally spot them (or they me) as fellow-refugees, stranded citizens-out-of-time--ok, unintentional escapees--from a version of Chicago that's no longer accessible to most people. Meanwhile, I'm happy that you found all the best spots of the new Chicago while you were here. My favorite things when I first came to Chicago were the clean streets, the friendly people--even the ones in cargo shorts--and the way you can always tell the time outdoors because, with the streets laid out along a true North-South grid, every street sign or telephone pole becomes a de facto sundial. All in all, it's a great city. Chicagoans' love of their city and its architecture is summed up in this story. 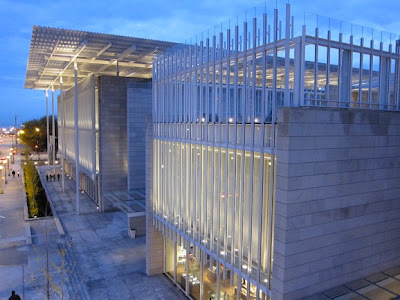 When the Chicago Public Library held a design competition for the new library building in the late 1980's, citizens stood in line to see the designs and vote for their choices. I'm so glad you got to see some of the great buildings in the city. Much as I dislike Chicago politics, I will admit that Richie Daley did a wonderful job of sprucing up the city. Now, if only they could get Marshall Field's back! 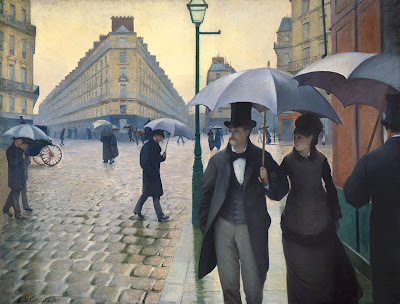 I do like Gustave Caillebotte's work. What a treat to see this one in person. I am so glad you & Boy enjoyed our fair city. Yes, we in-the-know Chicagoans avoid the Mag Mile & Millenium Park at all costs on touristy weekends although the attire you bemoan is also painfully evident in the off-season as well. Thanks to you & Boy for adding a little savoir-faire to our cretin-infested boulevards. Chicago is one of my favorite cities. You are right, it is so very clean! And the Art Institute of Chicago is pure joy. I have come to hate t-shirts. Reggie, the attire issue is the very first thing that struck me when I moved from Montreal to Boston. I agree with Penelope, -50 points on the IQ if the baseball cap is on backwards...is that to avoid a redneck??? 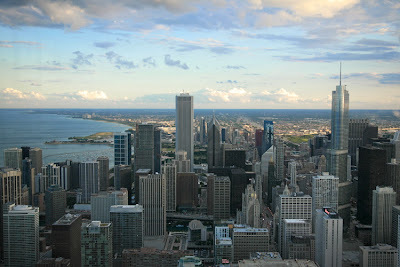 I love Chicago too- I always jump at the chance to visit one of my favourite cities in the U.S. 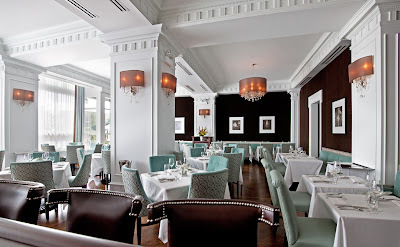 Fantastic restaurants and beautiful architecture! But you know something. When I went to NYC for the first time in years, I thought THAT was clean too! And certainly compared with the last time I went. There is also a marvelous boat tour that highlights great architecture of Chicago. Seeing the magnificent buildings from the water is a memorable experience. I also love to drive around Lake Forest and spot houses by David Adler. Great place to visit, but the winters are too cold for this Georgia boy! I will be traveling to Chicago the end of the month to illustrate a wedding. I am looking forward to my visit. Not to worry, I am planning my wardrobe and it shall be respectable. So happy to hear that you loved and appreciated Chicago, and so grateful that you spiffed up our busy streets on your visit. With friends in town we were amongst the masses out and about and I sadly agree with your assesment; beautiful city with somewhat shoddy window dressing. We escape to the 12th floor to look out from above, much improved view! Come back soon! Yes, the clothing. As a born and raised Chicagoan, there's no nice way to say it -- abysmal clothing. And then there's the problem no one has yet acknowledged: the weight issue. All of the Germanic foods we so love get us in trouble. But you're right. The areas you visited are in no way representative of how most people, and certainly members of your class, dress. The stores you frequented downtown could not survive on tourists from New York alone. And though residences downtown have become more common in the last 15 years, it's mostly tourists and new money (in a city that is by definition new money, so especially new). You would have to head further north within the city proper to get to the old bastions of residential wealth, running along Astor and other lakeside streets, or much further south to Hyde Park if you're looking for more interesting money with an academic bent (or a certain president). Or the acceptable suburbs, like Evanston, Oak Park, etc. But in general it's a conflicted city -- pockets here and there vary wildly. Even my pedestrian middle class neighborhood had a few blocks of jaw dropping houses maintained to the highest standards. And don't listen to what anyone says: the summers are dreadful. The heat, with 100 percent humidity from the lake: uck. The winters aren't really that bad. Next time you go, consider staying at the Drake, or at least get a drink there -- it's shabby in all the best ways, and my vote for the most charming old hotel in the city. It's only a couple blocks from where you stayed, but it's relationship to the lake is sublime. 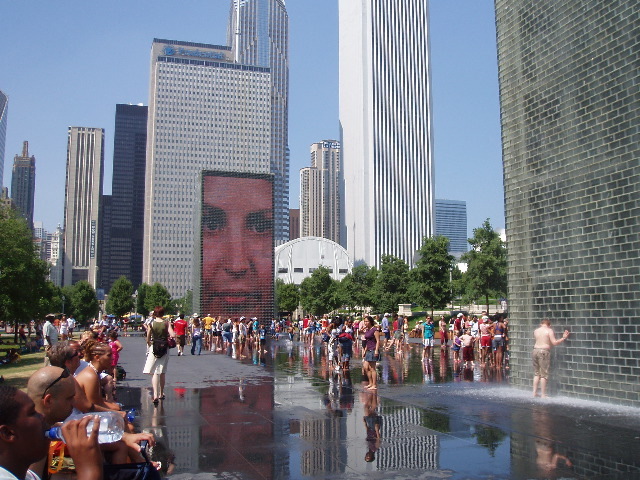 Several years ago I visited Chicago for the first time. We were due to have lunch at a club, and I hadn't yet put on a tie as it was quite warm. While I walked down the street, I tied my bow tie and kept up a conversation with my wife. heads turned. People stared. I now wonder if it was the oddity of a "real" bow tie. We happened to spend a summer weekend or two down in Manhattan a few years ago and were surprised to find the sartorial situation to be much like the one you encountered in Chicago. We were appalled until we realized that everyone else was outside the city and we were surrounded by tourists. The little girl's comment about Boy's tie made me smile, as it reminded me of days out and about with my spouse, who always wore a bow tie. I really miss Chicago. We have to get back there for a visit one of these days. The sartorial situation you describe is the same here in San Francisco in the neighborhoods frequented by tourists. I've been guilty in the past of dressing overly casual, but I'm working on improving!